Mr. Jerry Lane Judd of the Allendale Community in Green County, Kentucky, son of the late Rev. Olin Milton Judd and Laurene Milby Judd, was born on April 6, 1948 in Green County and departed this life on January 19, 2019 at the Jane Todd Crawford Hospital in Greensburg. He was 70 years, 9 months, and 13 days of age. He had made a profession of faith in Christ and was a member of The Least, The Last, The Lost Ministry. 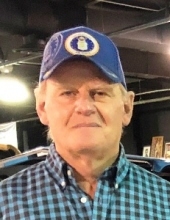 He was retired from the Clark Casual Furniture Company in Greensburg as well as a retired farmer. He was also a member of the National Rifle Association as well as being a huge supporter of our military. Survived by his loving wife of 36 years, Paula June Brockman Judd of Allendale, having united in marriage on November 25, 1982 at Liberty Missionary Baptist Church in Green County. Other survivors include a son and a daughter-in-law: Trent and Brittany Judd of Summersville; Two brothers and two sisters-in-law: Rev. Gerry and Earline Judd of Mt. Sherman and Steve and Regena Judd of Allendale; a brother-in-law: David Brockman of Indiana; several nieces, nephews and a host of other relatives and friends. The funeral services for Mr. Jerry Lane Judd will be conducted at 11:00 A.M., Central Time, Tuesday, January 22, 2019 at the Cowherd and Parrott Funeral Home with burial to follow in Green County Memory Gardens. Bro. Roger Scott, Bro. Jimmie Engle and Bro. Daniel Marcum will be officiating. Memorials are suggested to the Gideon Bible Fund or The Least, The Last, The Lost Ministries, which can be made at the funeral home.